The revival of ancient Silk Road strategy into the One Belt One Road (OBOR) Strategy or the new Silk Road project signals China’s ambitious approach to global issues and challenges. Its outward-oriented strategy attempts to encourage new trade and connectivity throughout Asia with road and maritime links to Africa, the Middle East and on towards Europe. The new financial institutions linked to the OBOR strategy - the US $100 billion Asian Infrastructure Investment Bank (AIIB) and the US $40 billion New Silk Road Fund (NSRF) have been set up. These together with the US $50 billion New Development Bank (NDB) and the US $100 billion Contingent Reserve Arrangement (CRA) represent Chinese backed new financial institutions that are not part of the existing Western dominated financial architecture. They will adhere to the Paris declaration but will not abide by the conditionality driven DAC framework. They are designed to help address issues of infrastructure underfunding, to create new pathways to sustainable development, south-south cooperation and mutually compatible solutions to development problems. The Yuan’s sudden devaluation, coming on top of a sharp correction in China’s stock markets and a slowing economy are an indication that the old model of Chinese growth has reached its peak. China must restructure its economy from an investment led model to a consumption led model. This is the path that Japan and South Korea followed earlier. But with large State Enterprises and rising debt whether China can emulate them will not be easy. China’s OBOR strategy represents an option to investing abroad and utilising some of this excess capacity. India and China have a competitive yet cooperative relationship. India has not signed on to the OBOR strategy as it has concerns over some aspects of it – especially the China Pakistan Economic Corridor and the Maritime Silk Road and has proposed its own “Spice Route” or SAGAR project with India at the centre of Indian Ocean relations. China has not taken kindly to India’s Act East policy especially to its investments in oil exploration in the South China Sea in collaboration with Vietnam. India has countered MSR with its own Spice Route or SAGAR project and is also strengthening its relations with ASEAN, Japan, Mongolia, Iran and countries in Central Asia. India’s trade with China has grown rapidly but suffers from huge imbalances and is alone responsible for almost half of its trade deficit. India could potentially benefit from greater Chinese investments – as Chinese investments abroad increase by leaps and bounds and India is becoming an attractive FDI destination - especially if they were to help reduce the huge and growing trade imbalance between the two countries. Chinese investment in infrastructure could also help India meet its infrastructure deficit if Chinese companies learnt to operate under Indian conditions. 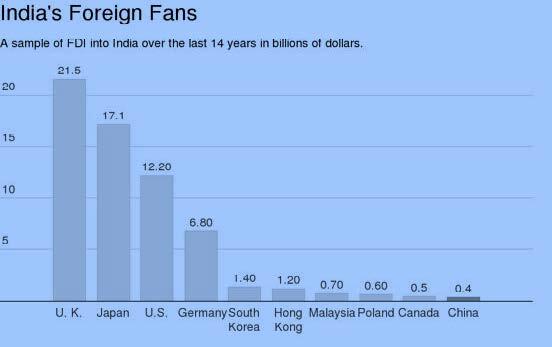 So far Chinese FDI into India remains very small. India has joined the new financial institutions the NDB, and the AIIB. These new banks are a potential source of long term infrastructure finance for India but given India’s huge infrastructure gap will only be able to provide a very small part of it. They nevertheless represent a very visible and tangible symbol of cooperation between India and China which can fructify and grow. If China and India cooperate rather than compete they could become almost 50% of the world’s economy – where they were some 200 years ago. Disputes will only derail them from reaching that goal. 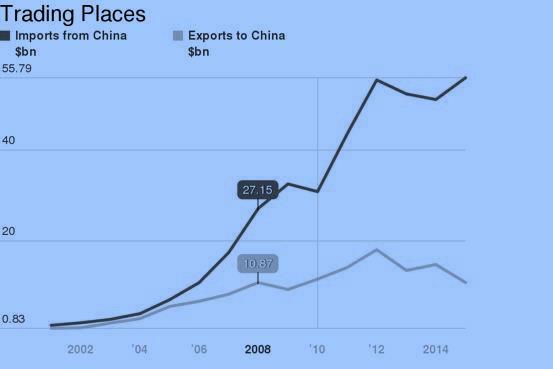 But China will only cooperate if it realizes that competition will be costly. India must pursue a policy of Competitive Cooperation with China. Chhibber, Ajay. 2015. China’s One Belt One Road Strategy: The New Financial Institutions and India’s Options, NIPFP Working Paper No. 155, September.